Uses: It is used in the treatment of intestinal worms, chronic gas trouble, and abdominal pain. This oil improves the circulation of blood by stimulating nerve system. Calamus plant is indigenous to India. Today, the plant is grown across China, Europe, southern Siberia, southern Russia, Burma, Japan, Australia, Canada, and northern United States. The plant grows in marshy and swampy areas where the soil is damp and wet. It grows in abundance near marshes, ponds, and lakes. The plant is harvested by dividing the rhizome clumps and re-planting them in shallow waters. Harvest is best done during spring or early autumn. This underground stem of this perennial herb has been known since the biblical times. Calamus has been regarded as an aphrodisiac for 2,500 years by Indian and Egyptians. The plant is semi-aquatic in nature. Turkish people used it against infections. Calamus oil is extracted by steam distillation. The rhizome is separated from the leaves and dried in shade. The oil is either extracted from fresh roots or unpeeled dried roots. 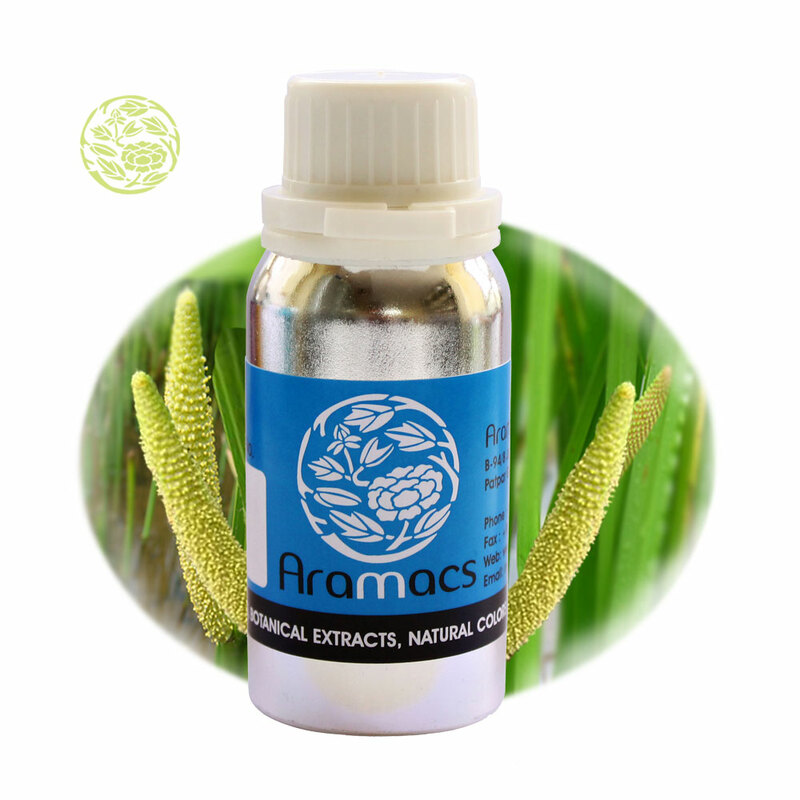 For centuries, Calamus oil is used in the treatment of digestive upsets and colic, especially in children. It improves stomach functioning and reduces discomfort such as dyspepsia, stomach cramps, indigestion, and flatulence. 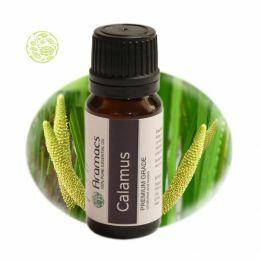 The essential oil of calamus stimulated blood circulation and helps nutrients and oxygen to reach every corner of the body. 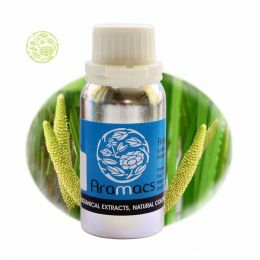 Calamus oil is a stimulant and is used as a tonic to rejuvenate the brain and nervous system. A low dose of the oil can induce sleep. It relaxes the body and mind. The oil is used in the internal treatment of bronchitis, sinusitis, and digestive complaints. Topical application on the skin relieves skin problems such as rashes, burns, boils, varicose veins, and rheumatic pain. Calamus oil stimulated nerves and improves blood circulation. This is especially important in providing relief from swelling or pain associated with arthritis, rheumatism, or gout. The oil is an effective anti-histamine, decongestant, and in treating sore throats, cough, and cold. In Ayurvedic medicine, the calamus oil is believed to have the ability to bring consciousness and excels against marijuana effects. A few drops of the oil into a warm bath reduce exhaustion and fatigue. The essential oil of calamus is particularly effective on nervous spams; it works well on other spasms too. Being toxic in nature, the oil fights both internal and external infections. The calamus oil has circulatory, cephalic, anti-spasmodic, nervine, emetic, anti-arthritic, tranquilizing, anti-periodic, stomachic, carminative, anti-rheumatic, and bactericidal properties. According to Ayurvedic medicine, the oil has positive effects on learning, improves memory, and effectively treats depression and shock. The oil is used in the production of perfumes. Its strong aroma prevents bugs and insects. Very nice quality I like it.